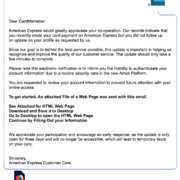 Could anyone fall for this spam message that claims to be from American Express? Sure, it has pretty graphics, but come on. Look at all those typos. Look at sentences that don’t make any sense. And really, we’re going to open that file? 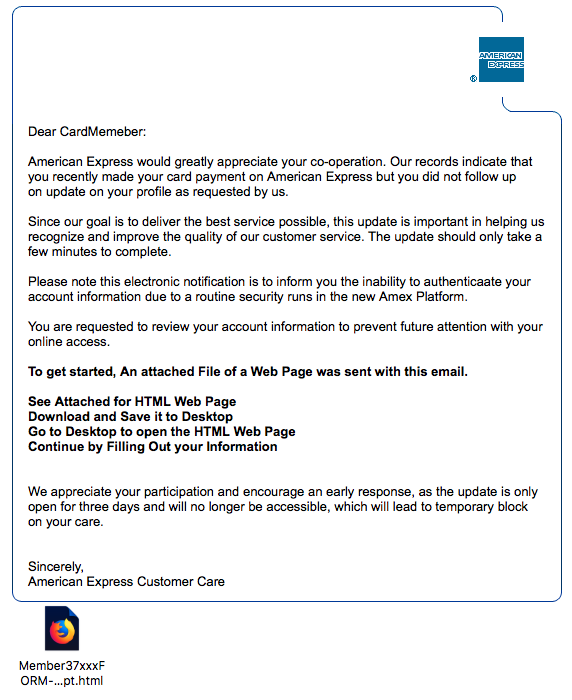 Amex would never ask you to download or click on a file. This particular file prompts you to provide personal information which could be used for identity theft – but it also could have contained ransomware or other malware. Delete such messages immediately. Don’t click on links or open attachments, or reply to them.